Enjoy Utah! 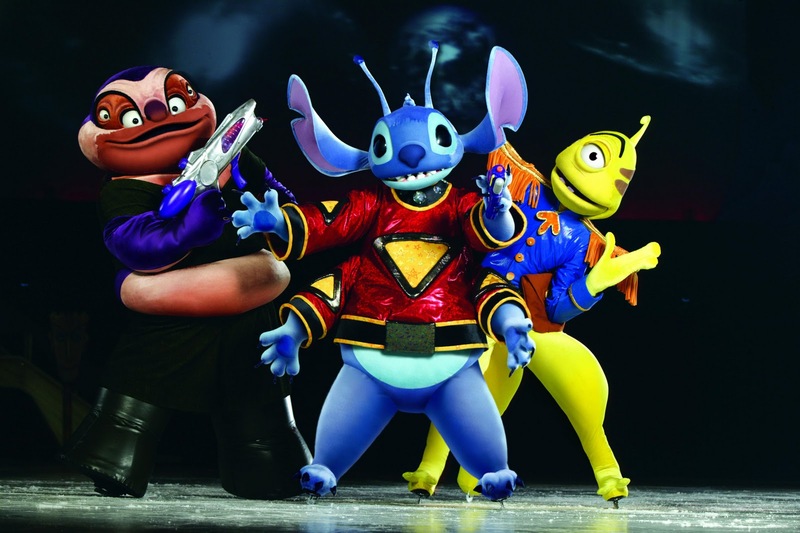 : Disney On Ice Deadline Today! Disney On Ice Deadline Today! Today (tonight by 11:59pm) is the LAST day to get in your entries for the first set of Disney On Ice tickets. Our first winner we be announced on Monday! CLICK HERE to review all of the ways you can enter. Also, the Lilo And Stitch Trivia will also end this week, so make sure to get your answers in on that! If you have tagged us on Facebook, and I have not commented on your statuses that you are entered, please make sure to email me. If I don't get them today, I will for sure go through all of them tomorrow and make sure all of the entries are in. If I haven't commented, and you don't email me, that means I am not seeing your posts. THANKS! Disney On Ice presents Mickey & Minnie's Magical Journey features a cityscape, a pirate ship, a kingdom under the sea, a tropical coast, the African Pride Lands and more — meaning that Lighting Designer Patrick Dierson used a variety of lighting equipment and techniques in creating a show filled with energy and surprises. The new and familiar Disney stories appearing in this ice production include Disney’s Lilo & Stitch, Peter Pan, The Little Mermaid and The Lion King. Also the lighting designer for Disney On Ice presents Beauty and the Beast and Disney Live! Winnie the Pooh, Dierson is no stranger to working with the best — he’s been on tour with pop sensation Shakira, and worked with many other musicians for VH1 and MTV, including the MTV Video Music Awards and Fashionably Loud. He also worked with President Bush on the 2001 Presidential Gala in Washington, D.C., and received an Emmy® Award for his work on America: A Tribute to Heroes. He even works on the ice in a different capacity, for the National Hockey League’s annual ice spectacles. Such events range from opening night ceremonies to banner raisings and jersey retirements. “I run the gamut,” he laughs. The EmmyÒ Award is a registered trademark of the Academy of Television Arts & Sciences (ATAS) and the National Academy of Television Arts & Sciences (NATAS).